Got this in from Vivien, who posed in the previous article in a pot in the snow, of a couple other Polar Bears, Elsie and Alan, also from Canadia, up north somewhere. 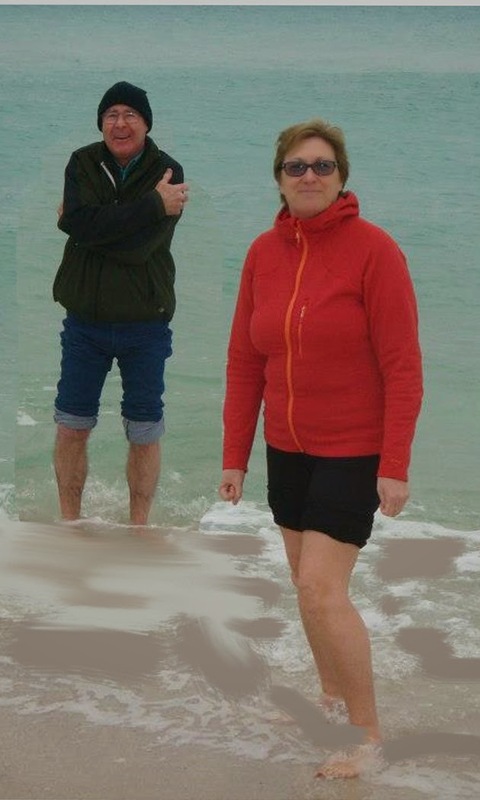 The extreme cold must touch your brains up there, as you can tell by the photo, they're actually in the briney, down in Pensacola Beach, Florida, and it's still cold! Actually, I had a bit of fun with this. I Photoshopped it from two separate photos that they had posted on Facebook (whatever that is). Turned out pretty decent, if I do say so.